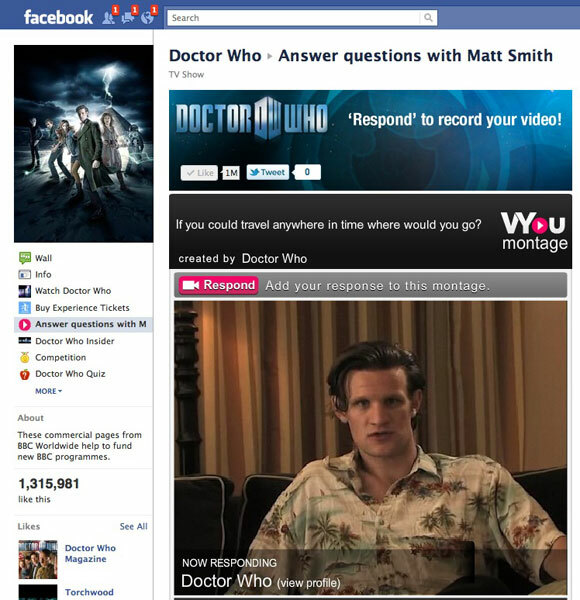 In a partnership with VYou and the Doctor Who Facebook page, Matt Smith answers five different questions over ten weeks, it’s then possible for fans to record their own video responses that are then streamed after Matt’s responses providing a platform for the fans to join in. In the future, further questions will be asked by the fans with those with the most votes answered by Matt. – Voting for the questions that they want answered. i think matt smith is amazing, and the way he dresses, by far he has been the best doctor! Matt Smith has become my favourite modern-day Doctor, because of his alien-ness and out of the last 3 actors I enjoy his incarnation of the character most of all. Cool I would go to the moon!